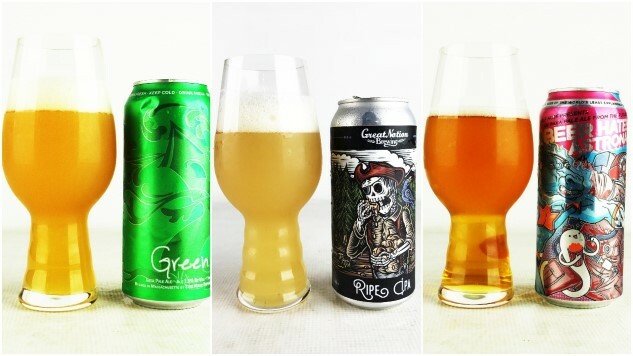 For our companion piece and final conclusions on the style after blind-tasting 324 of these beers, read today’s The State of IPA: Hazy, Juicy, Sludgy and Confused. We have blind-tasted IPAs (that’s “single IPA”) three times, at Paste. The first time was in 2015, and the 116 beers we received then seemed like a staggering, unfathomable figure. It was equally true in 2016 when we blind-tasted IPAs again and received a whopping 247 entrants. And it’s true once again here in 2018, with 324 of them—not far behind the 408 entries (also a record) at the Great American Beer Festival last year. Every time we do this, it seems like the previous mark will be impossible to surpass. Each time, we’re wrong. The main reason why is the enduring, seemingly ever-strengthening popularity of India pale ale with American drinkers. As the beer geek market has matured, IPA has changed and matured along with it, branching off into numerous offshoots like capillaries splitting from an artery. Since the last time we did this tasting, trends have come and gone, and the pace of adaptation in the market has seemingly only accelerated. Even organizations that are resistant to change, such as the Brewers Association, have had to officially recognize some of these changes such as the normalization of hazy IPAs by stating that 2018’s GABF competition will for the first time divide the IPA field into “hazy” and “non-hazy” camps. In fact, the question of “What is India pale ale today?” has simply become too onerous and multifaceted to tackle adequately during the introduction of this piece. Thus, allow me to redirect you to our companion piece, The State of IPA: Hazy, Juicy, Sludgy and Confused. In it, I’ve tried to capture the distilled perspective one gains about a modern American beer style while blind-tasting 324 of them over the course of 17 days. Suffice to say, we have some strong opinions, positive and negative, about where IPA is headed. Some of those opinions will be reflected in the beers you see in the ranked portion of this tasting. Read on, and find out. As in most of our blind tastings at Paste, the vast majority of these IPAs were sent directly to the office by the breweries that choose to participate, with additional beers acquired by us via locally available purchases and the occasional trade. We always do our best to reach out to breweries we’re aware of that make exemplary versions of particular styles, but things always do slip through the cracks. We apologize for a few significant omissions that we couldn’t acquire, either due to seasonality or market shortages. There will never be a “perfect” tasting lineup, much as we continue to try. Obviously, when it comes to tasting IPAs, freshness is a factor that looms large, so allow me to address it directly here. Throughout the many days of preliminary tasting, we attempted to drink daily heats of beer that corresponded roughly to when each beer reached the Paste office. It’s by no means a perfect system, but it’s what we have. Before the finals tasting, we also reached out to all of the breweries in the top 25 to inform them that their beer had made the finals, and offered them an opportunity to send in fresh beer if they chose to do so for the final. — This is a tasting of IPAs, largely determined by how the breweries chose to label their products. All beers had to be labeled as “IPA” in some capacity. When in doubt, we simply allow a brewery’s marketing to define a beer’s style, and expect them to stick to the designation they’ve chosen. — There was a strict limit of 8% ABV on submissions. All beers under 8% ABV were accepted. All beers of 8% ABV or above were not. Beers labeled as “DIPA” were accepted if their ABV was still under 8%. — All types of adjuncts and flavorings were allowed. Fruited IPAs, brettanomyces IPAs, etc. — There was a limit of only two entries per brewery. The beers were separated into daily blind tastings that approximated a sample size of the entire field. — Tasters included professional beer writers, brewery owners, brewmasters and beer reps. Awesome, style-appropriate glassware is from Spiegelau. — Beers were judged completely blind by how enjoyable they were as individual experiences and given scores of 1-100, which were then averaged. Entries were judged by how much we enjoyed them for whatever reason, not by how well they fit any kind of preconceived style guidelines. As such, this is not a BJCP-style tasting. Paste has conducted a whole lot of blind tastings over the years, but never have we organized one where so much great beer—and so many great breweries—ended up in The Field, rather than the ranked portion of the list. That’s just what happens when you end up with 324 entries, but it also speaks toward the need for consistency in beer. There are breweries that ended up in the top 25 final and can also be found here in The Field, as well as breweries that produced multiple beers that almost made the ranked portion, but fell just short. In general, we tasted a lot of great IPAs in this tasting, but we also tasted a whole lot of bad beer as well. Especially among the hazy subset of IPAs, it was frequently impossible to know what to expect until we stuck our noses into the glass. Some were juicy, bright and welcoming, with balanced sweetness, fruit flavors and “greener” impressions that work together in harmony. Others were sludgy catastrophes that seemingly had more yeast and hop particulate in suspension than they did water. As this substyle has come to dominate the hype cycle as far as IPAs are concerned, there has been a definite tendency for some breweries to get caught up in it to their detriment—stuck in a loop of creating progressively more and more absurdly overhopped IPAs until the result tastes like a puddle of grass clippings and yard waste. We tasted far too many beers of that nature. Still, simply looking at the names of breweries in The Field, you know there must be a lot of quality here. There are beers here from all the following: The Alchemist, Bale Breaker, Boneyard, Burial, Cerebral, Creature Comforts, Firestone Walker, Fremont, Half Acre, Knee Deep, Night Shift, Noble, Oskar Blues, Societe, Surly, Trillium, Wicked Weed and so many more. On any given day, we’d be thrilled to drink an IPA from one of those places. And yet, when less than a sixth of the entries can make the rankings, things get tough. As always, the beers listed below in The Field are simply listed alphabetically, which means they’re not ranked. I repeat: These beers are not ranked. Call to Arms Brewing Co. Do You Even Juice, Bro?